Alpine Village is the heart of downtown McCall offers a unique ownership in McCall that blends custom home finishes with hassle free ownership. These thoughtfully designed condos offer top of the line finishes with every day comforts. Alpine Village has become a fantastic extension to the downtown area with a vibrant pedestrian plaza and is home to several businesses, such as Studio 616, Playlive, First American Title and the Liquor Store. For those looking for style, elegance and convenience – Alpine Village is your place. 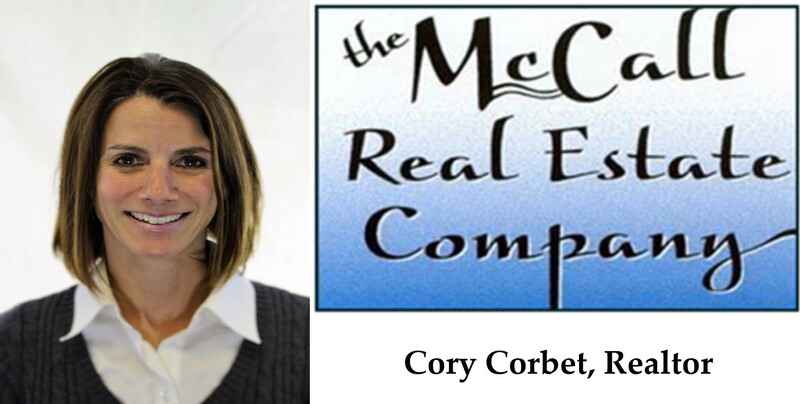 Please call Cory for a personal tour or for more information. McCall’s real estate closings were up over 12% for the number of transactions from last month and up almost 130% in total dollar volume. The total number of closings last month for McCall, which includes land, homes, condos and commercial was 18 with a total dollar volume of $4,313,255. The lowest priced sold property was a vacant lot in Broken Ridge Subdivision and the highest priced closing was a Payette Lake front home. The average sales price for a property sold in McCall last month was $239,625.